Health officials have reported the first case of rabies in Mississippi in 54 years. It was discovered in a small, black-and-white feral kitten found in downtown Starkville near the Mississippi State University. Bats in Mississippi are common sources of rabies and the wild animals in neighboring states have been found to have contracted the disease as well. For nearly 60 years, however, no land animal in the state has succumbed to it, though it has always been a possibility. All mammals are able to contract rabies but some are more vulnerable than others. Raccoons, dogs, coyotes, cats, skunks, foxes, and ferrets are among the species more commonly infected. 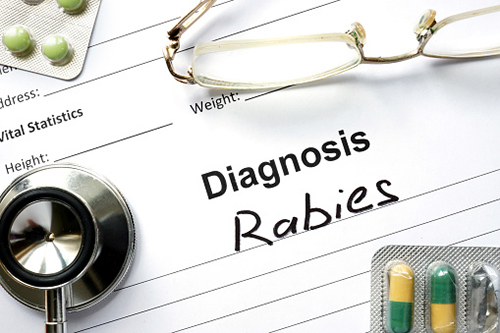 Those infected can transmit rabies up to 10 days before showing symptoms. If a vaccine is delivered before the major symptoms set in, survival is possible. Otherwise, the disease is fatal in all but the rarest cases. People in Mississippi are urged to avoid contact with dead or wild animals, to contact Animal Control if they see an animal acting strangely, and to ensure their pets stay updated on their vaccinations. Anyone who has been bitten or scratched by a wild cat matching the description of the deceased kitten is urged to immediately contact their primary healthcare provider or the Office of Epidemiology at 601-576-7725. “Starkville Feral Cat Is First Rabies Case in Mississippi since the 60s,” Outbreak News Today web site, August 20, 2015; http://outbreaknewstoday.com/starkville-feral-cat-is-first-rabies-case-in-mississippi-since-the-60s-11501/.